Your Time is valuable, so leave floors clean, dry and ready for use. 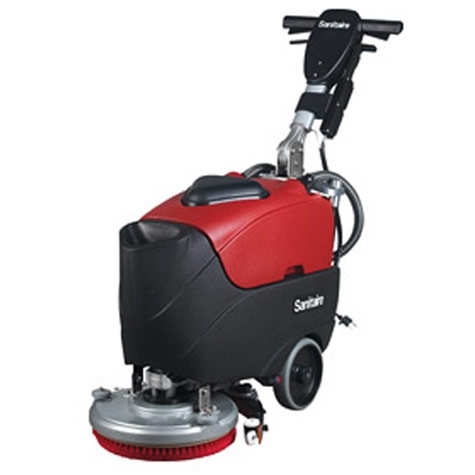 Our auto scrubbers capture the dirt and debris that a mop and bucket leave behind. Choose from the 14-Inch Tag Along Scrubber to the walk-behind Cordless 32 Inch Portable Scrubber, Sanitaire offers an auto scrubber for every size cleaning need.